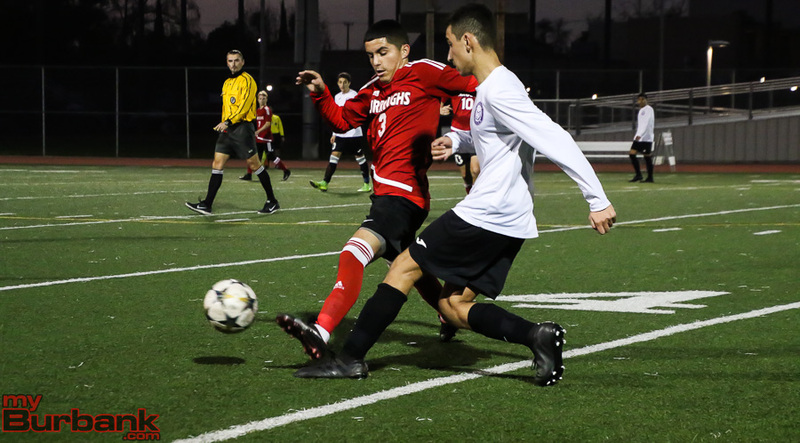 If there is one thing that the Burroughs boys’ soccer team is doing better now than it did early on in the season, it is that the Indians and making the most of their opportunities. The Indians scored three times in the first half en route to a 5-1 Pacific League victory over visiting Hoover High Friday at Memorial Field. “We finished well today. Hoover plays tough defensively and they are hard to break down,” Burroughs coach Mike Kodama said. 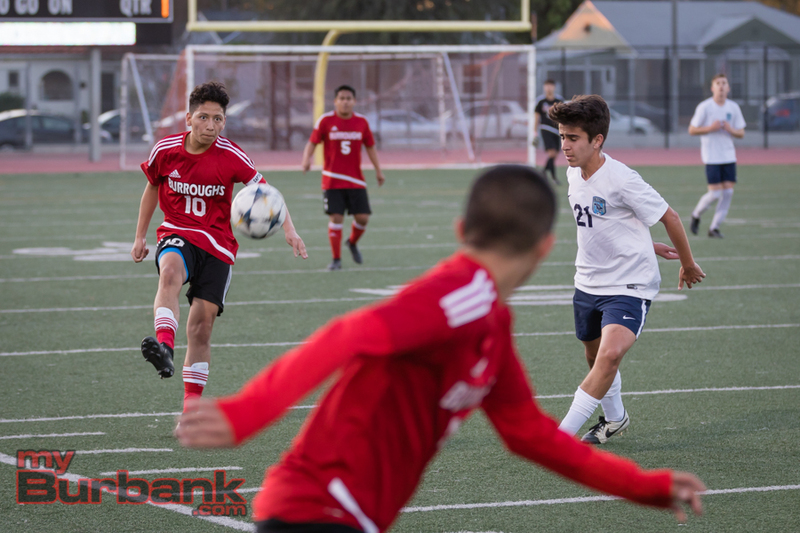 Burroughs (12-2-4 overall, 8-0-2 in the league) now holds a four-point lead over Glendale High with four matches to play in the battle for the league title. The Indians wasted little time getting on the board Friday. Carlos Rosales faked out a group of Hoover defenders before putting the ball into the lower left corner of the goal in the 4th minute to give the Indians the lead. 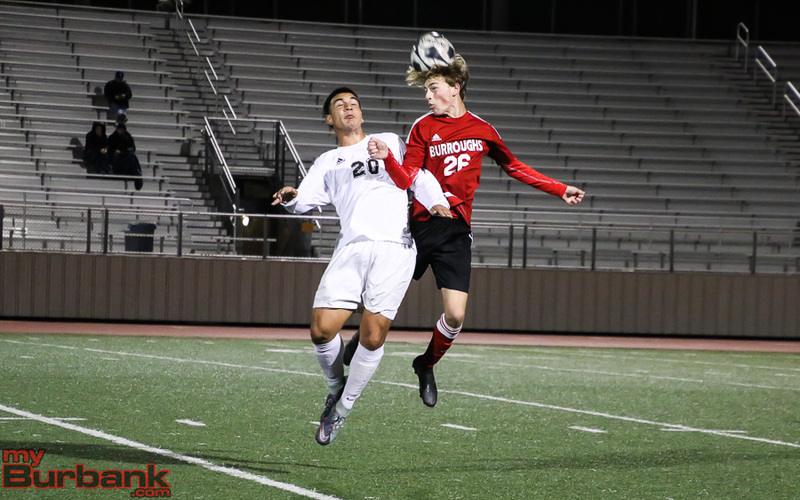 Burroughs got a break in the 20th minute when a Hoover defender inadvertently fouled David Gerlach in the goal box even though Gerlach didn’t have the ball. The Indians were awarded a penalty kick and Gonzalez converted to double the lead. 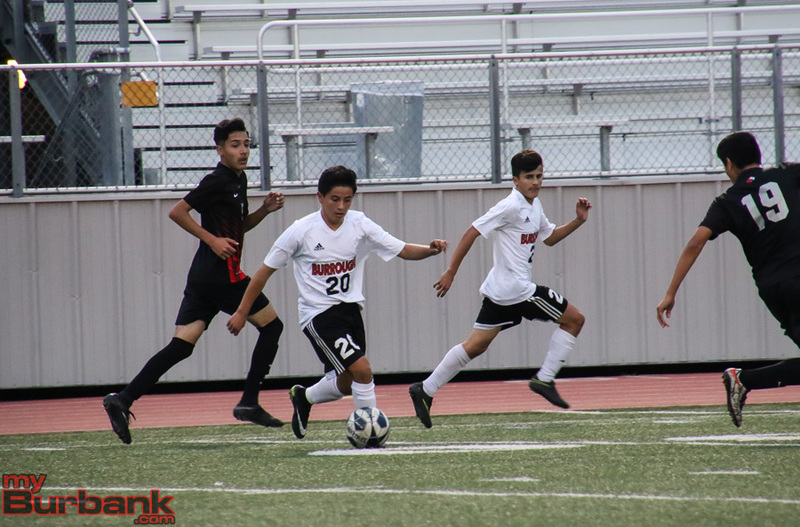 Gonzalez, who is a sophomore, scored his second goal in the 38th minute when he turned around at the top of the goal box and fired a right-footed shot up into the right corner of the goal. 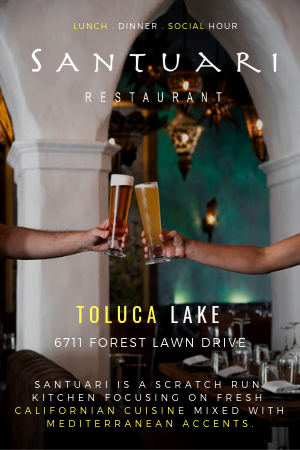 Burroughs scored for the second time off a set piece in the 50th minute when Gonzalez curled a free kick over the Hoover wall and inside the right goal post to make it 4-0. 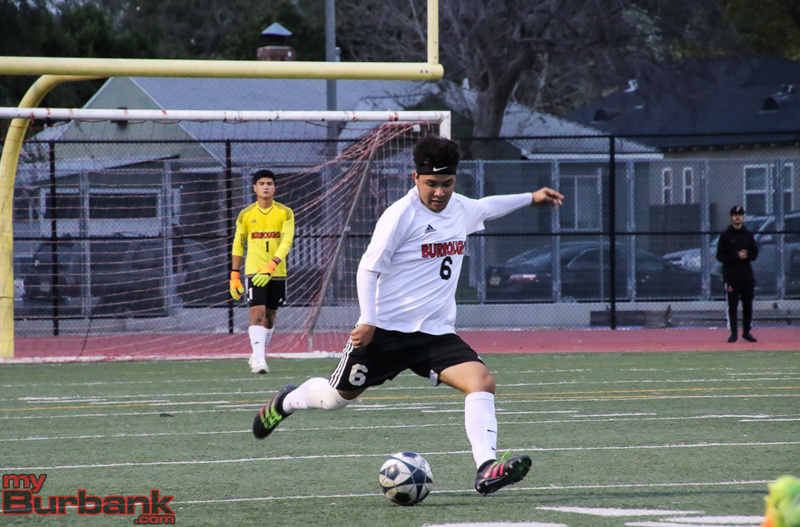 Rosales capped the scoring for Burroughs in the 66th minute by taking a ball along the left wing before sneaking inside the goal box where he finished with a shot past the Hoover goalkeeper. Hoover (3-5-3 in the league) got on the board in the 73rd minute when Vladimir Centero finished off a cross from Kevin Mirzakhanian by putting into in the upper right corner of the goal. 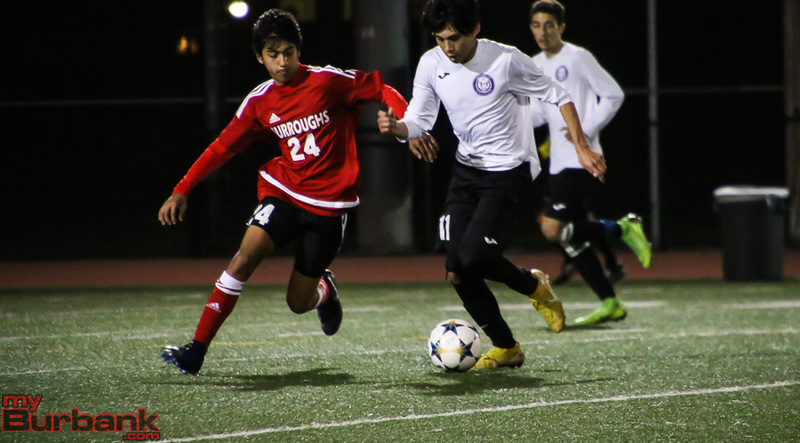 This entry was posted in Boys Basketball, Sports and tagged Burroughs boys soccer, Carlos Rosales, David Gerlach, Manny Gonzalez on January 19, 2019 by Jim Riggio. Controlling the action from the moment the referee dropped the ball for play, the Burroughs High boys’ soccer team completely dominated the action. 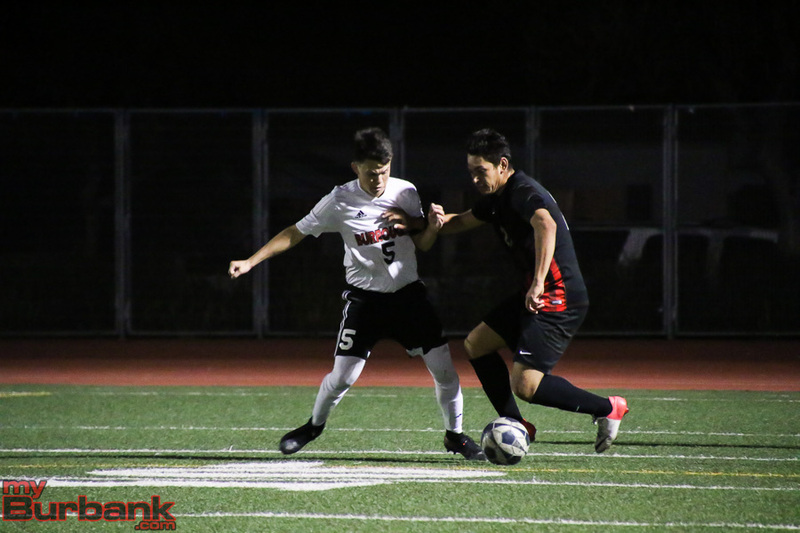 The Indians scored two goals in each half that catapulted them past visiting Burbank 4-1 in a Pacific League match on Friday afternoon. When junior forward David Gerlach’s 20-yard laser found the back of the net in the 11th minute, the Indians (10-3-3 and 6-0-2 in league) forged ahead 1-0. In the 35th minute, sophomore forward Manny Gonzalez drilled home a 25-yard winner that extended the lead to 2-0. 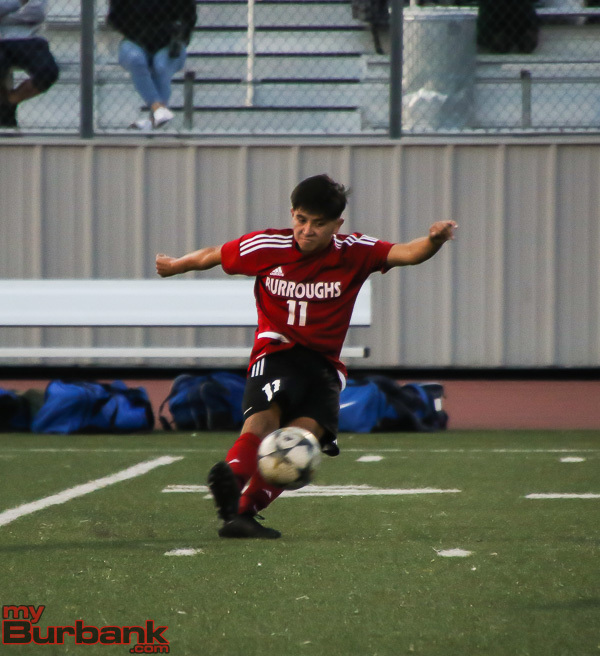 A tally from 25 yards in the 41st minute by sophomore forward Elias Galaviz pushed Burroughs’ lead to 3-0 and Gonzalez’s 15-yarder in the 69th minute capped the Indians’ scoring that made it 4-0. “We played well. We knew that we had to be patient. 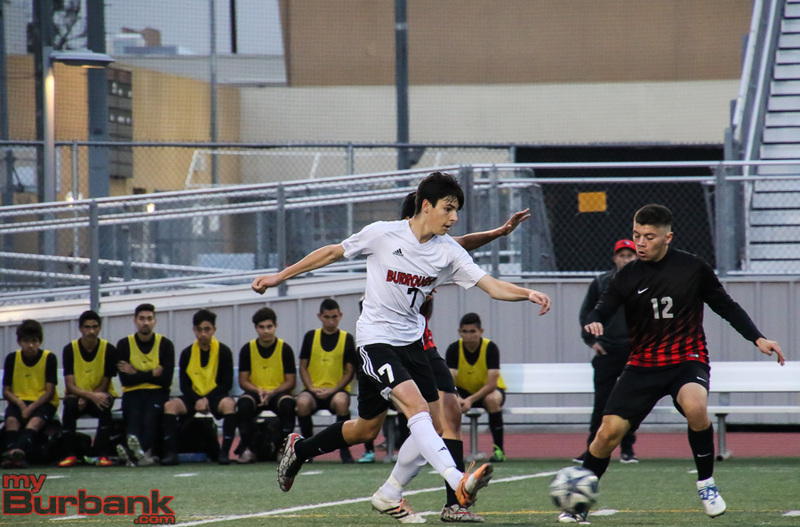 The guys moved the ball very well and we just needed to keep our composure and needed to limit Burbank’s opportunities,” Burroughs coach Michael Kodama said. 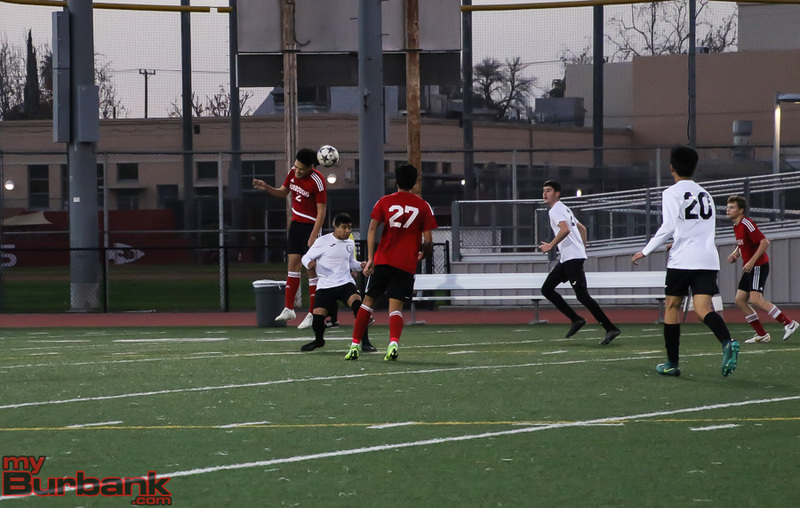 It took a while, but the Bulldogs (4-5-1 and 3-4-1 in league) finally scratched the scoreboard when senior midfielder Andy Cardenas, who is the kicker on the football team, dropped in a 10-yard header in extra time that trimmed the lead to three goals. Gerlach’s 20-yarder in the 44th minute came so very close, caroming off the right goal post. In the second minute, Gonzalez’s 25-yarder sailed wide left and three minutes later Gonzalez’s attempt was picked up by the goalie. 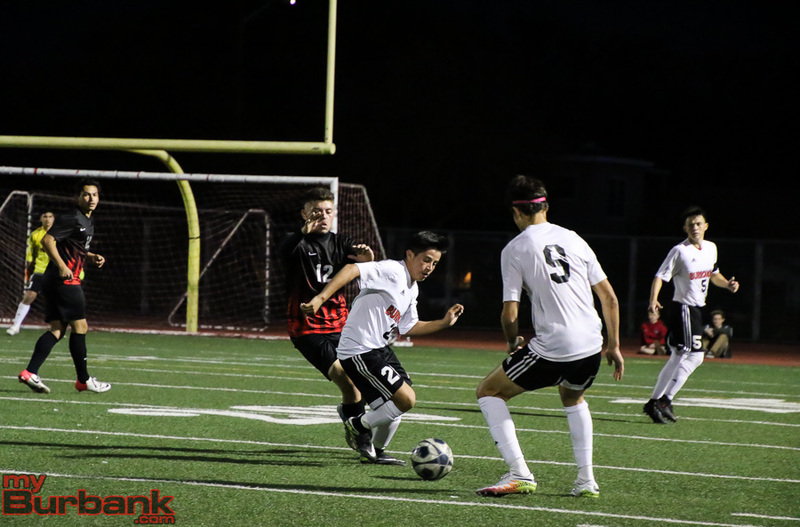 Junior defender Manny Pascual’s 10-yard header in the seventh minute was off target and senior midfielder Sam Hawksworth’s 35-yard blast in the eighth minute went wide left. 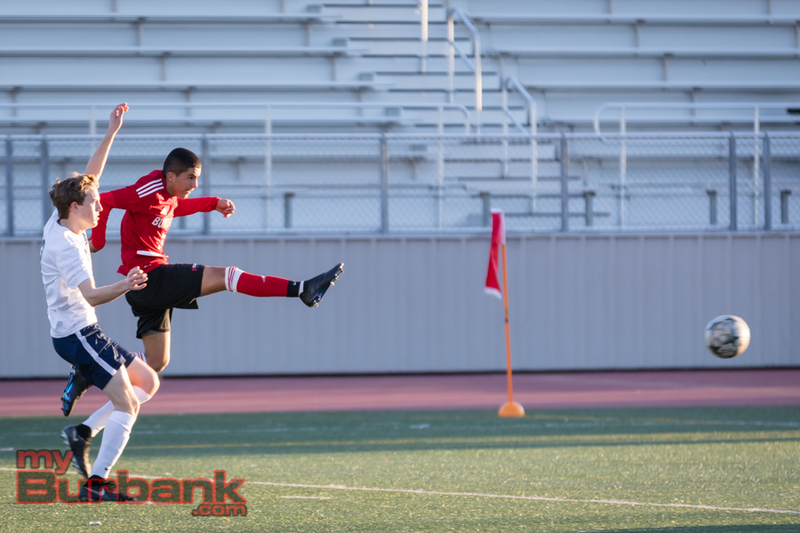 Three minutes later, senior forward Esteban Alcantar’s 25-yarder failed to locate the target. In the 12th minute, Hawksworth’s shot was blocked. 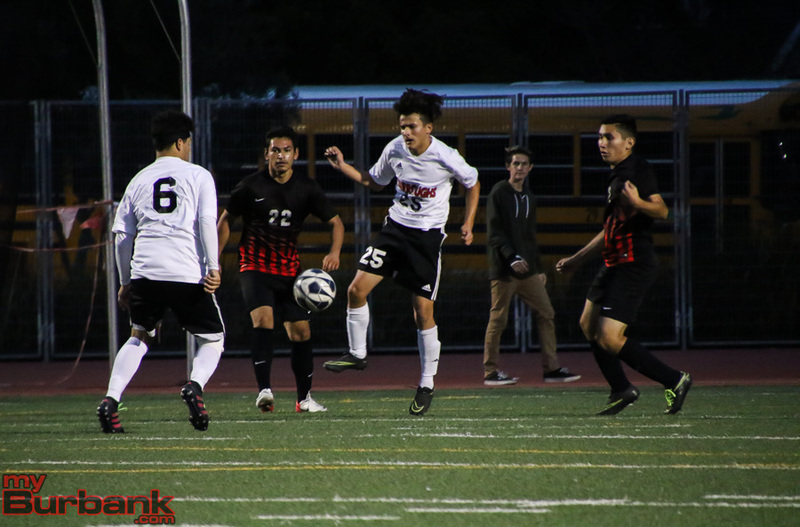 Pascual’s 20-yard header in the 13th minute scooted right, and three minutes later Burbank sophomore midfielder Nick Diaz’s 45-yard free kick didn’t find the goal. Senior forward Matthew Cardenas delivered a 10-yarder in the 16th minute and was followed by Hawksworth’s 30-yarder a minute later that drifted wide right. Gonzalez had consecutive shots stuffed in the 22nd and 24th minute. 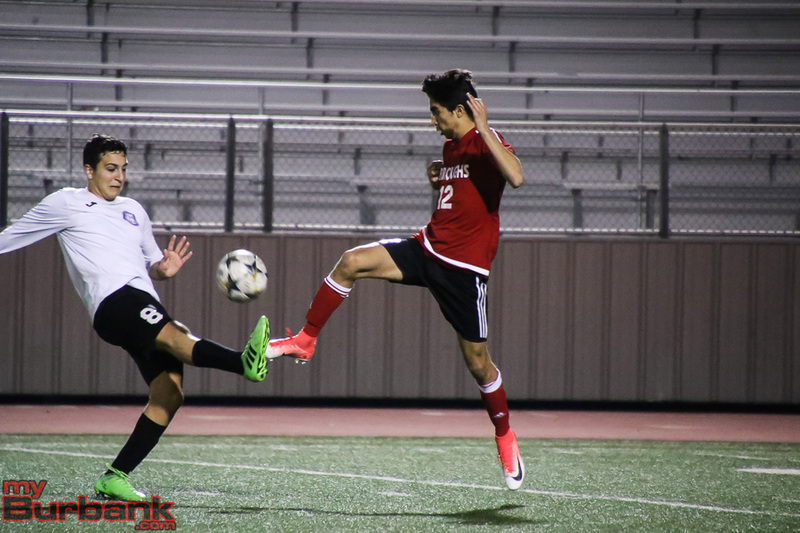 Junior midfielder Juan Carlos Rosales’ 20-yarder in the 25th minute missed the mark and in the 26th and 31st minute, Cardenas delivered two 35-yarders that were not successful. In the 33rd minute, Gonzalez saw his 25-yarder picked up by the goalie and in the 35th minute, Gonzalez delivered a 25-yarder. Diaz’s 43-yard free kick in the 36th minute failed and Alcantar had his attempt blocked in the 38th minute. Gonzalez’s 20-yard header in the 46th minute was off target, and Alcantar’s 25-yarder a minute later drifted wide right. Alcantar’s 15-yarder in 52nd minute missed the goal, Alcantar’s 25-yard free kick in the 53rd minute was also off and Hawksworth’s rebound didn’t find the back of the net. Hawksworth’s 15-yarder in the 55th minute wasn’t successful and two minutes later Alcantar’s 15-yarder didn’t find the goal. Cardenas had a 25-yarder in the 58th minute and Gerlach’s shot was blocked two minutes later. Cardenas’ 25-yarder in the 60th minute was way too high and a 20-yarder by Galaviz in the 67th minute failed. Burbank senior midfielder Dara Ashrafi’s 35-yarder in the 68th minute missed the target and junior midfielder Dylan Mahoney’s 20-yarder in the 70th minute sailed wide left. In the 75th minute, Mahoney’s 35-yarder missed and Burbank senior defender Ocelotl Tellez added a 25-yarder in extra time. 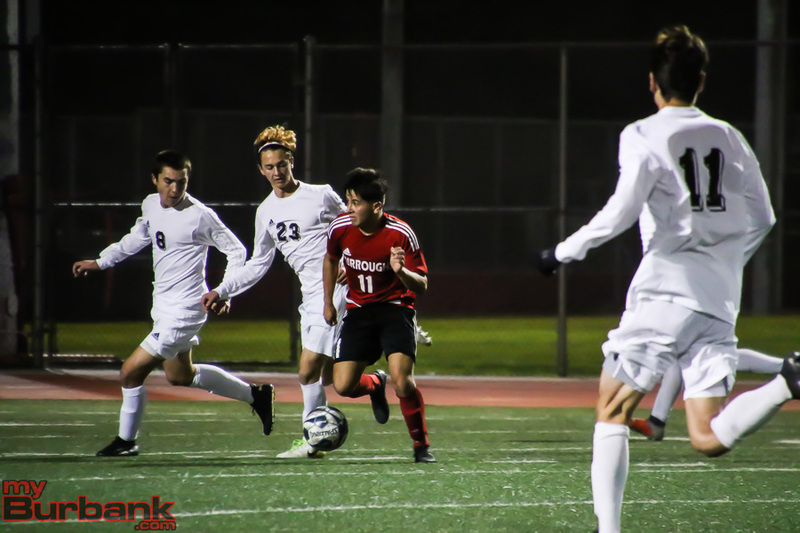 This entry was posted in Boys Soccer, Sports and tagged Andy Cardenas, Boys Soccer, Burbank High, Burroughs High, Dara Ashrafi, David Gerlach, Dylan Mahoney, Elias Galaviz, Esteban Alcantar, Juan Carlos Rosales, Manny Gonzalez, Manny Pascual, Matthew Cardenas, Nick Diaz, Ocelotl Tellez, Pacific League, Sam Hawksworth on January 12, 2019 by Rick Assad. The final score in soccer is not always indicative of how a match went. That could be said of the match the Burroughs High boys’ soccer team played Tuesday at Memorial Field. Both the Indians and visiting Crescenta Valley were ready, came prepared and fought hard for an entire 80 minutes of an entertaining match. In the end, a 1-1 draw that seemed fitting for the two sides that have captured the last two Pacific League titles. 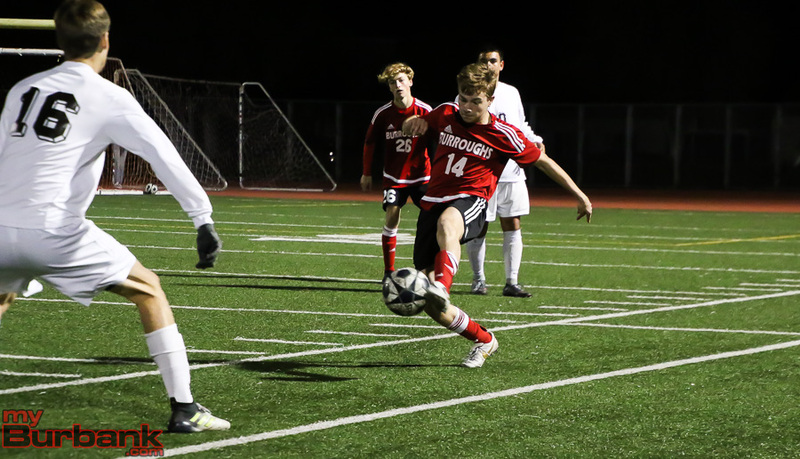 Burroughs (4-2-1 overall, 2-0-1 in the league) got on the board in the 10th minute when David Gerlach put home a loose ball that was deflected after a corner kick. The Indians took the 1-0 lead into the halftime break. Crescenta Valley (3-2-2, 1-0-2) came out motivated in the second half and forced Burroughs goalie Alfredo Tejada to make 10 saves. 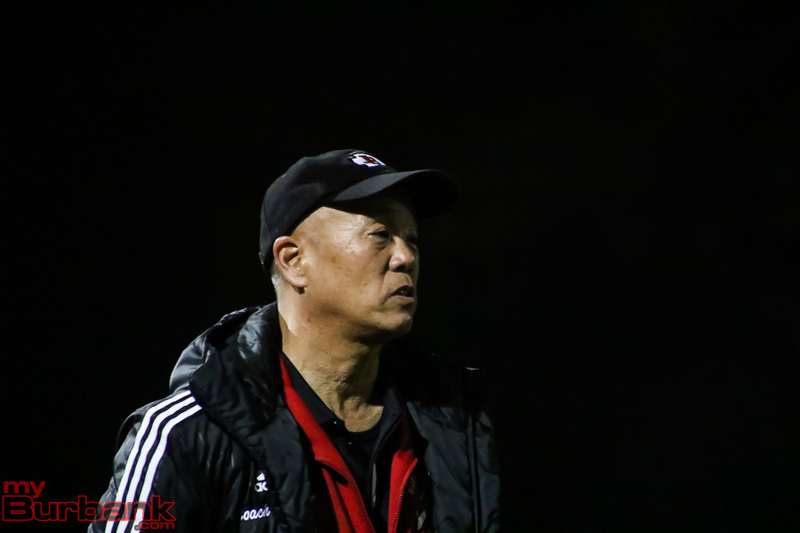 The Falcons, who won the league title last year, notched things up in the 49th minute when Caleb Abad was off to the races on a counter attack. The senior went down the right sideline and was able to tuck the ball into the left corner of Tejada’s goal. Tejada credited the visiting Falcons for making it difficult to operate. 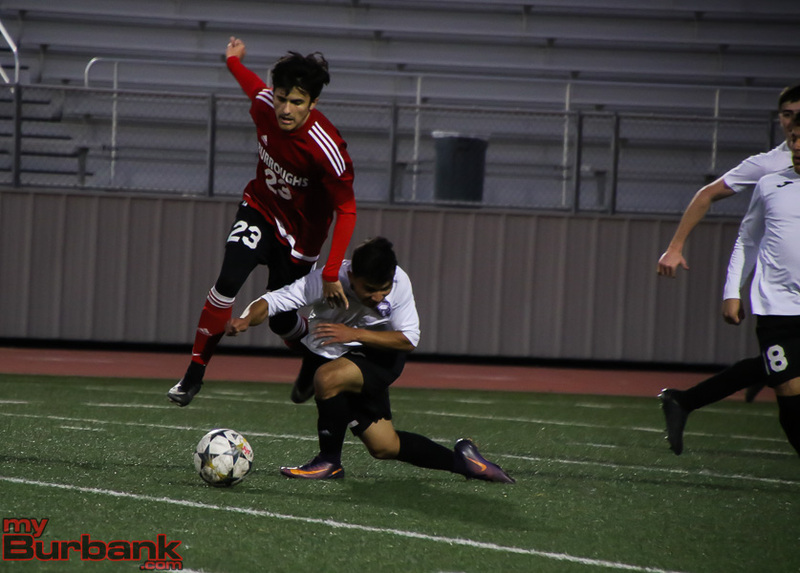 Burroughs had a chance to break the deadlock in the 61st minute when Manny Gonzalez snuck through the Falcon defense and the linesman’s flag stayed down. 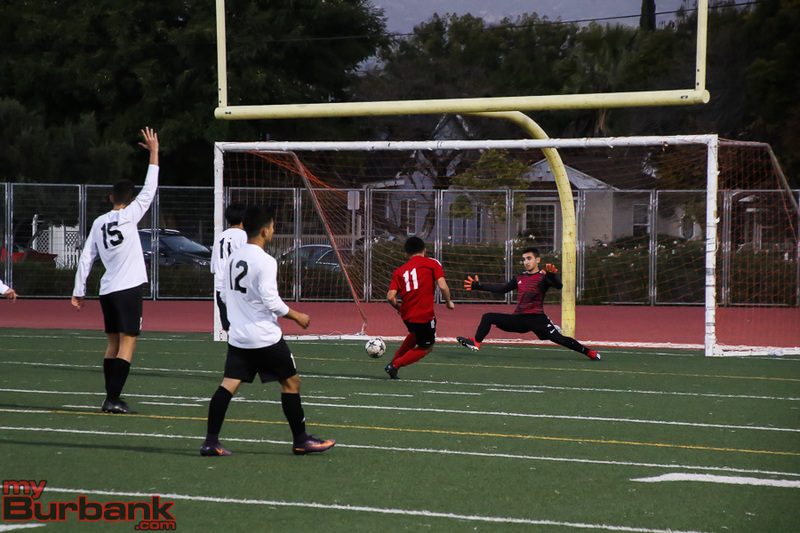 But CV goalie Nick Shahbandarian came out to make a nice save. CV’s Jesus Pena gave Burroughs difficulty and almost scored a number of times. Tejada denied him with a diving save in the 79th minute. 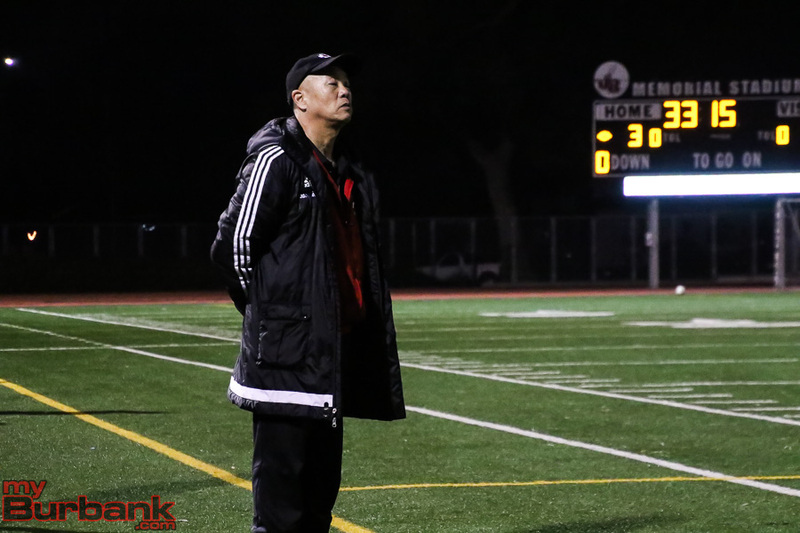 Burroughs coach Mike Kodama assessed the match. 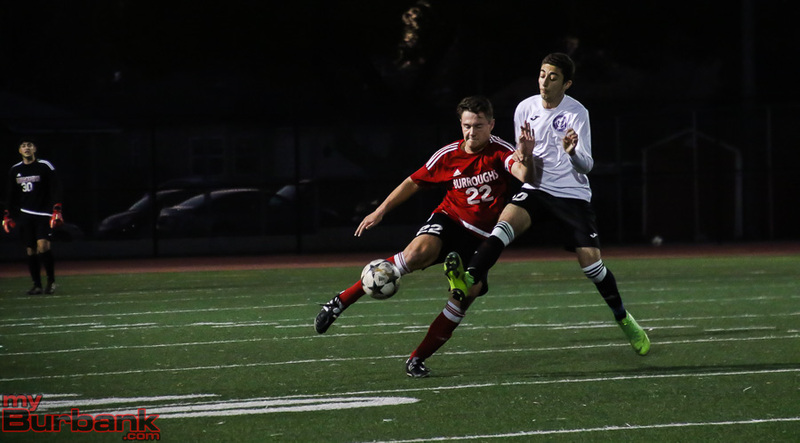 This entry was posted in Boys Soccer, Sports and tagged Alfredo Tejada, Burroughs boys soccer, Carter Wells, David Gerlach, Manny Gonzalez on December 11, 2018 by Jim Riggio. It isn’t easy to have consistent success. 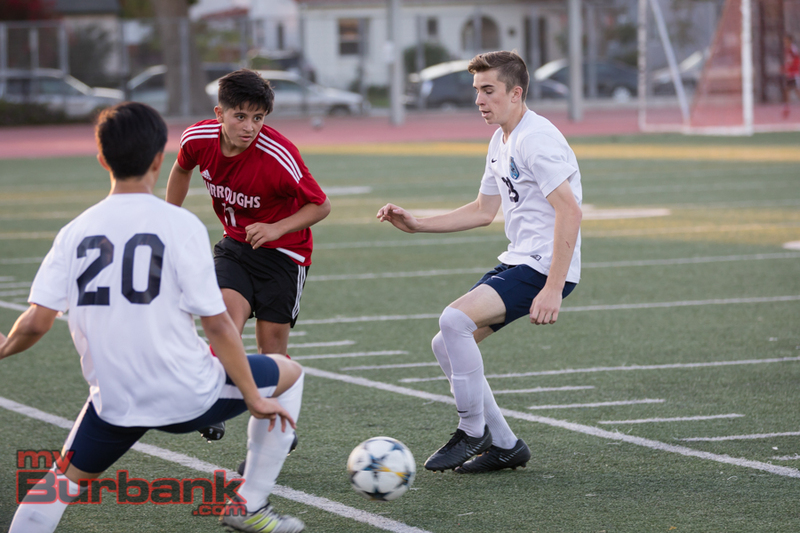 The Burroughs High boys’ soccer team has been relatively strong for quite some time. Last season, a very young team finished second in league. That core group of sophomores are now juniors, leaving hope that they are a year away from hitting their peak. Burbank High showed some promise last season and is hoping to continue to improve upon last season’s improvement. The Indians who went 15-9-1 last season, are built around junior playmaker Carlos Rosales. Rosales plays in front of the defense and is essentially the quarterback of the offense. “Carlos is the engine of the team,” midfielder Sam Hawksworth said of Rosales. He has solid support behind him with junior center back Carter Wells, who gives Burroughs a solid presence needed. Senior Esteban Alcantar can be an attacking midfielder or he can play as a second striker. He has lots of talent and isn’t afraid to make an assist when needed. Sophomore Manny Gonzalez had 16 goals as a freshman and is looking to improve on that total. He generally attacks from the wings, which helps open up the middle of the field. 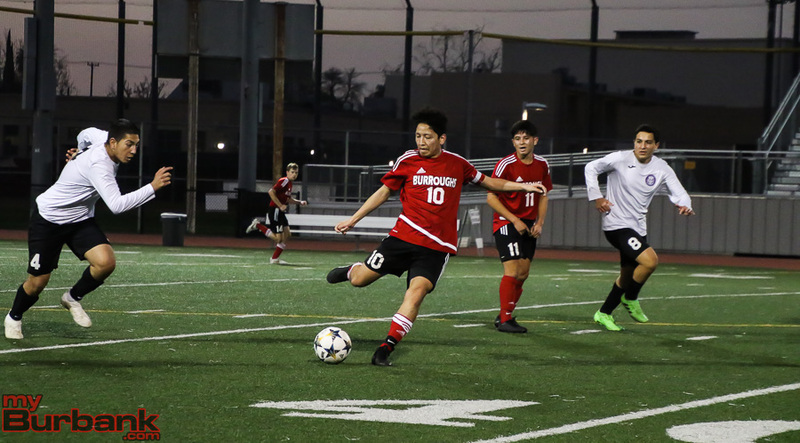 In goal, Burroughs coach Mike Kodama will rely on the trio of seniors Edgar Rodriguez and Alfredo Tejeda as well as sophomore Jacob Cardenas. Defensively, Wells will be joined by senior Luis Cortes in the middle. Senior Jonathan Mejia could see time at right back. Junior Manny Pascual and junior Elijah DuMonde also figure to see time in the wing back positions. Junior Abihud Munoz and freshman Wilson Harting should also see some time on the back line. Junior Dylan Mahoney and Hawksworth, a senior, are expected to play alongside Rosales in a defensive midfield role. Senior Jose Luis Arroyo and sophomore Patrick Abarca will also see time in the midfield. Senior Matthew Cardenas gives the Indians some versatility as he can play a number of roles, either in the midfield or in the attack. Junior David Gerlach returns for his third year on varsity and should occupy the wing on the opposite side of Gonzalez. Junior Matthew Rampaceck and sophomore Elias Galaviz offer support in the attack. The Bulldogs went 5-9-4 last season and are hoping to improve on that mark. Senior Christian Ramos returns in goal. Fellow senior Jean Diaz could also see time defending the Bulldogs’ net. 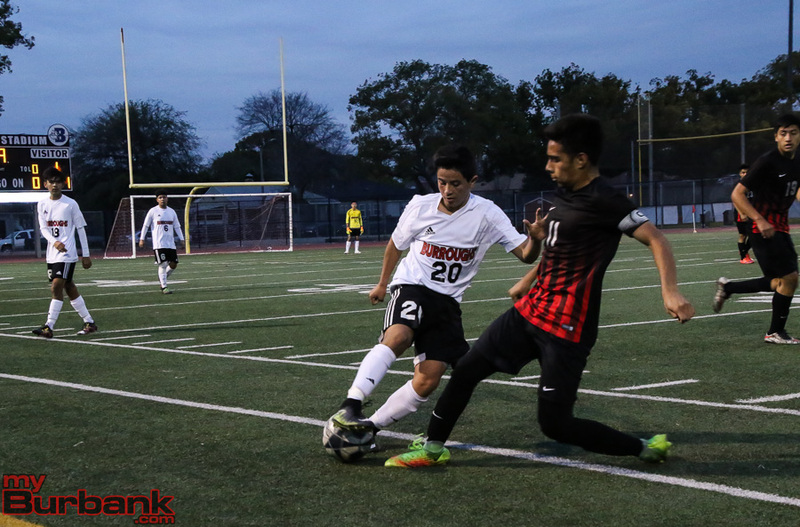 Defensively, Burbank has senior Ocelotl Tellez and junior Levon Sahakyan back in the wing positions. Junior Sebastian Causarano also returns and could see time in a center back role. Also in the back the Bulldogs have seniors Michael Danielian, Jae Lee and Brendon Chow. Junior Kaiyne Nzenwa and freshman Tony Harutyunyan are others who figure to see time on defense. 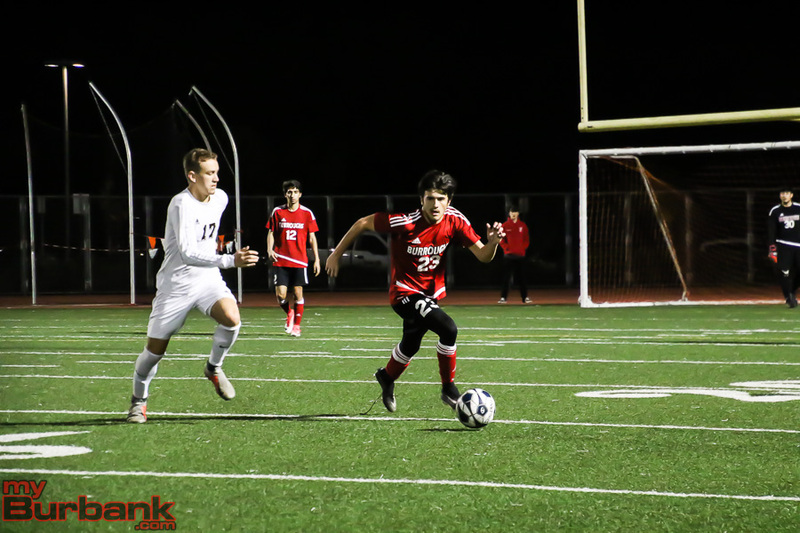 In the midfield, senior Andy Cardenas leads the way. Sophomores Isaiah Marsh, Jack Taglang and Nick Diaz all played on varsity as freshmen. Fellow sophomore Andrei Rodriguez also figures to fight for playing time as well as senior Dara Ashrafi. Up front the Bulldogs return junior Allen Arsenian. Also up front is senior Steven Tom. 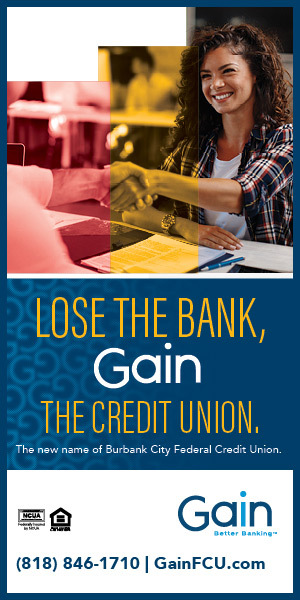 Freshmen Abraham Rivera and Freddy Cardenas give Burbank a pair that could have a bright future. 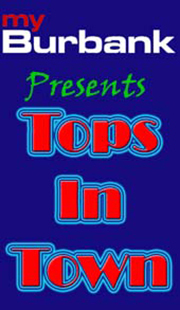 This entry was posted in Boys Soccer, Sports and tagged Abihud Munoz, Abraham Rivera, Alfredo Tejada, Allen Arsenian, Andrei Rodriguez, Andy Cardenas, Brendon Chow, Burbank boys soccer, Burroughs boys soccer, Carlos Rosales, Carter Wells, Christian Ramos, Dara Asharfi, David Gerlach, Dylan Mahoney, Edgar Rodriguez, Elias Galaviz, Elijah DuMonde, Esteban Alcantar, Freddy Cardenas, Isaiah Marsh, Jack Taglang, Jacob Cardenas, Jae Lee, Jean Diaz, Jonathan Mejia, Jose Luis Arroyo, Kaiyne Nzenwa, Levon Sahakyan, Luis Cortes, Manny Gonzalez, Manny Pascual, Matthew Cardenas, Matthew Rampacek, Michael Danielian, Nick Diaz, Ocelotl Tellez, Patrick Abarca, Sam Hawksworth, Sebastian Causarano, steven tome, Tony Harutyunyan, Wilson Harting on November 29, 2018 by Jim Riggio. 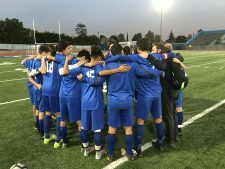 In the season of giving, the Burroughs and Hoover High boys’ soccer teams each played well for 80 minutes with the exception of one gaffe each. Those mistakes turned into goals for each side in a 1-1 Pacific League draw Tuesday afternoon. The Indians (4-2-1 overall, 1-0-1 in league) and the Tornadoes (0-0-1 in league) played a pretty even match in the first half, but neither side could find the back of the net. Players from both teams go after a loose ball. Things appeared to change in the second half as Hoover had the momentum in the early going. 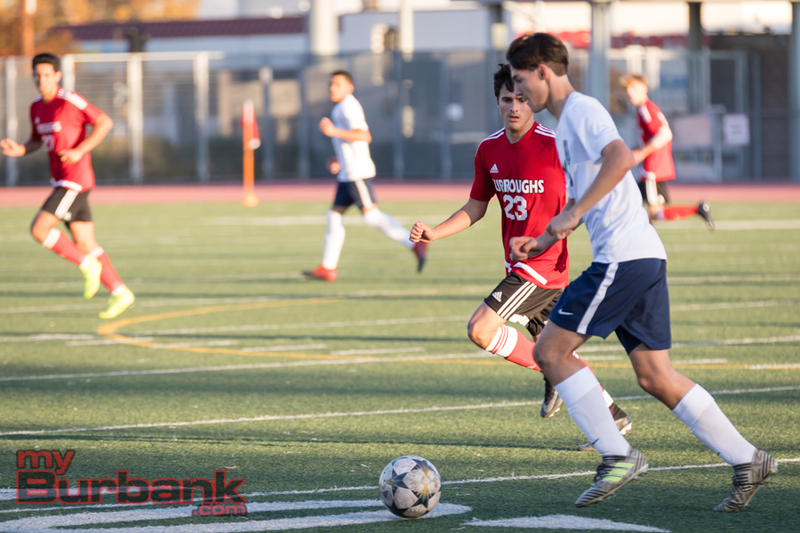 Burroughs goalie Sebastian Kalemkarian was tested in the 44th minute on a left-footed bending free kick from Hoover’s Nathan Arakelian. After Kalemkarian knocked the ball out for a corner kick, Hoover nearly scored on that set piece that finished with Arakelian kicking the ball over the cross bar from a short distance. 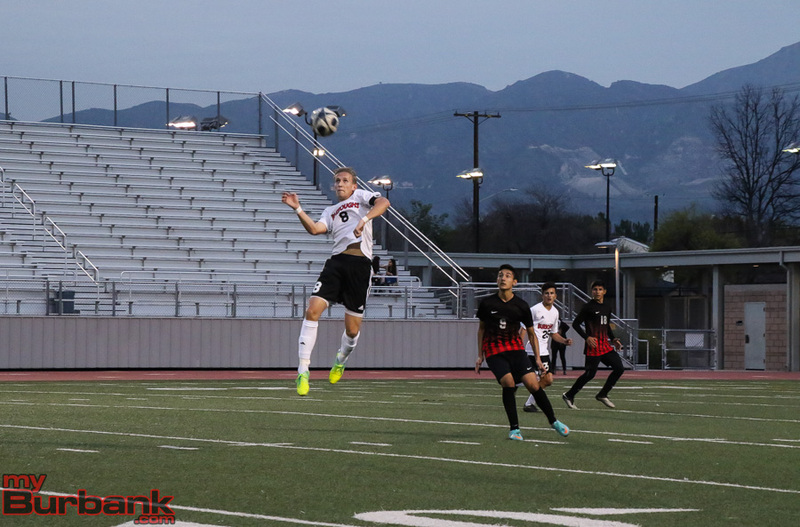 Hoover put pressure on the Indians again in the 56th minute only to see Burroughs defender Luis Cortes save what would have been a goal on the line. But just a minute later, Burroughs stole the Tornados’ thunder. Patrick Abarca is set to go onto the field. 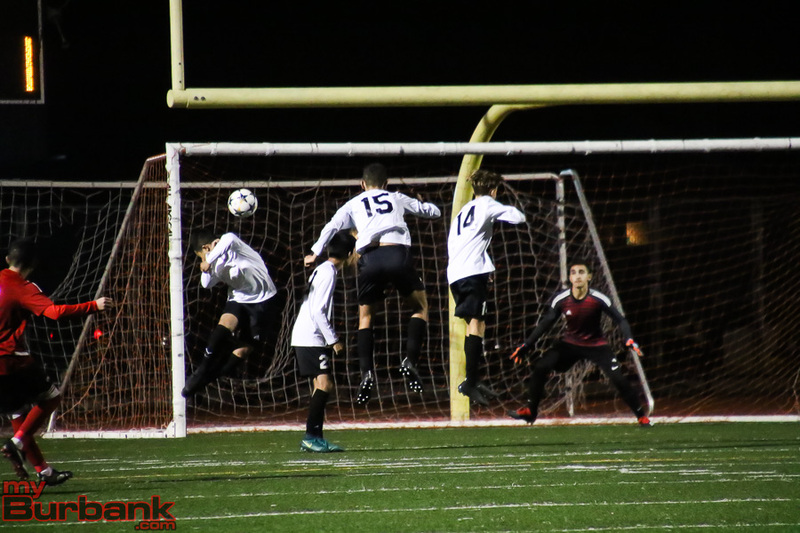 In a bizarre scenario, Burroughs David Gerlach found a way to give the Indians the lead by intercepting a header, which he subsequently headed into the net. From then on the game was mostly played in the midfield as both teams didn’t have many scoring opportunities. But Hoover took advantage of a minor break with just two minutes to play and just after the re-start following a brief intermission while the lights at Hoover went on. Vladimir Centeno’s long throw-in for Hoover bounced in the box and found an open Serop Jejeian, who put the ball in the net from the back post. “I think we just fell asleep and didn’t have anyone at the back post and they (Hoover) were there,” Burroughs defender Jake Von said. 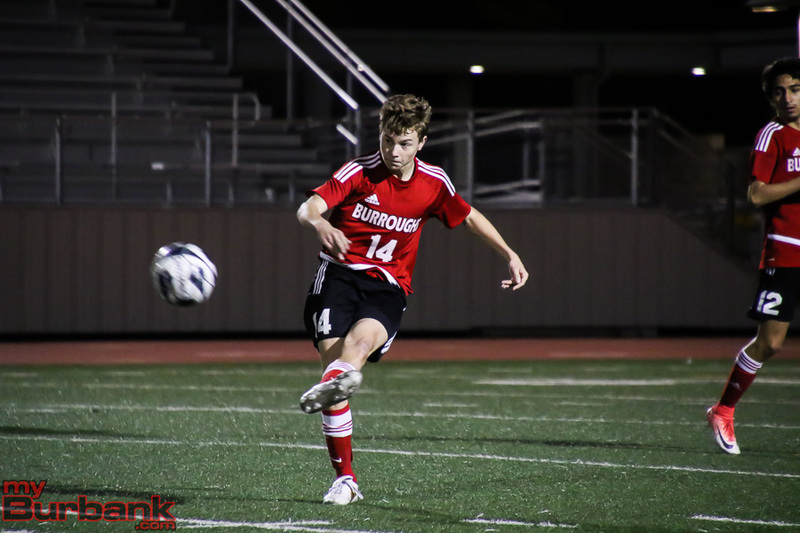 This entry was posted in Boys Soccer, Sports and tagged Burroughs boys soccer, David Gerlach, Jake Von, Luis Cortes, Sebastian Kalemkarian on December 12, 2017 by Jim Riggio. 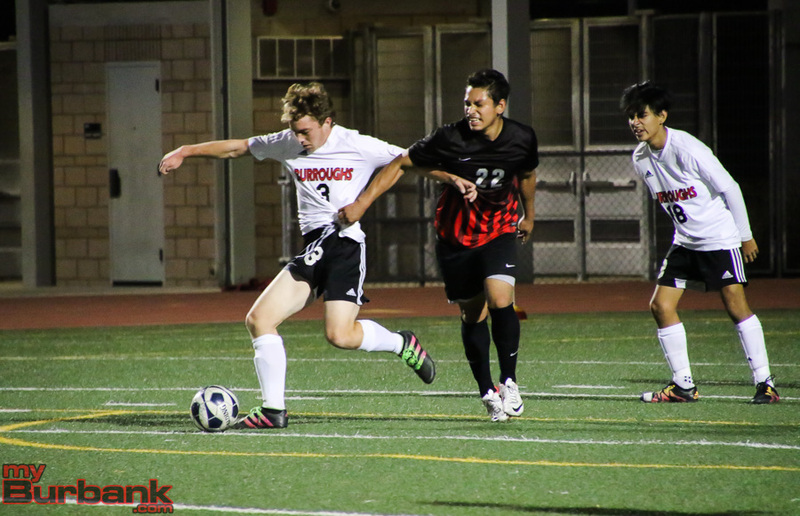 A year ago the Burroughs and Burbank High boys’ soccer teams were complete opposites. 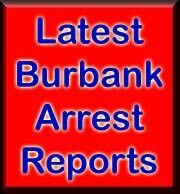 Burroughs won the Pacific League title and Burbank failed to win a game. But a year later, Burroughs has graduated many of its stars and Burbank has been re-energized by a number of young players who have already shown they will bring the program back up. The Indians were quite good last season by going 19-5-4 and losing in the quarterfinals of the CIF Southern Section Division 3 playoffs to a fine Salesian squad. As expected, many key players are gone. However, the Indians have a very talented young group under coach Mike Kodama that will be solid this season and perhaps great the next two years. Sophomore Carlos Rosales is the playmaker and center midfielder who makes everyone else around him better. Rosales and David Gerlach, also a sophomore, figure to be key players for the program for years as both played significant minutes last season. Gerlach figures to be mostly an offensive midfielder or as a secondary striker. 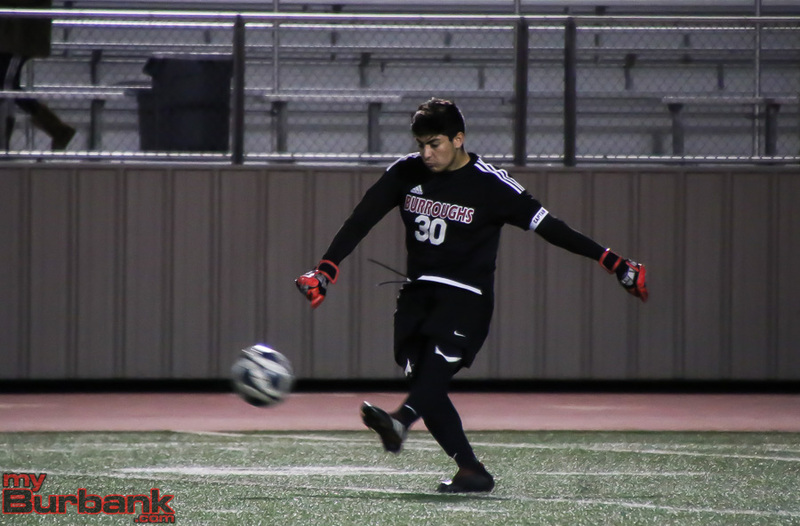 The Indians have senior Sebastian Kalemkarian in goal along with junior Edgar Rodriguez. Defensively, sophomore Carter Wells appears to be a solid center back. He could be joined by senior captain Olin Bernal Villalpando. Senior Victor Lopez could also see time in the middle of the back line. Junior Luis Cortez, sophomore Manny Pascual and seniors Jonathan Ortega and Xavier Iniguez also give depth to the back line. One player who played up front last season, but has looked solid as a wing back is senior Topli Petko, who at 6-foot-3, will certainly give the Indians a physical presence. In the midfield, senior Ariel Sanchez could be paired next to Rosales, where he might take on the role of the player who runs the most as a defensive midfielder. Senior Jake Von, sophomore Elijah DuMonde, junior Esteban Alcantar and junior Sam Hawksworth could also figure into the midfield rotation. Freshman Patrick Abarca is a name to remember as a possible future star. In the attack, freshman Manny Gonzalez has already scored, giving hope that he has a very bright future ahead. Sophomore Kurt Nelson and junior Matthew Cardenas are others who could star up front. Things are looking bright for the Bulldogs a year after going 0-13-5. 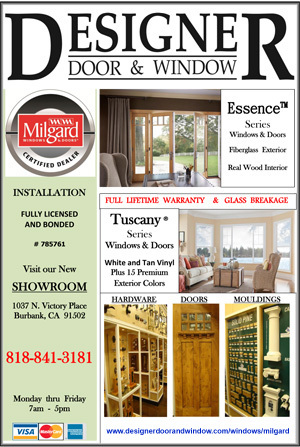 Former Burbank star player Gor Kirakosyan takes over for Mike Alcaraz. After two games things are already looking brighter as Burbank opened with a win over San Marino and a 1-0 loss to traditional power La Canada. Burbank discusses things over before the season opener. Six players return from a year ago. Junior Christian Ramos is the starting goalkeeper. Also back, defensively is junior center back Andy Cardenas. In the midfield, seniors Ethan Jay and Paul Won return. Senior winger Andrew Senane and senior striker Artyom Ginosyan are also back. The rest of the team is young, but talented. Defensively, junior Ocelotl Tellez could see time at left back. Freshmen Alex Pino and Isaiah Marsh as well as sophomore Levon Sahakyan could also see time as wing backs. Sophomore Sebastian Causarano could see time as a center back or as a defensive midfielder. 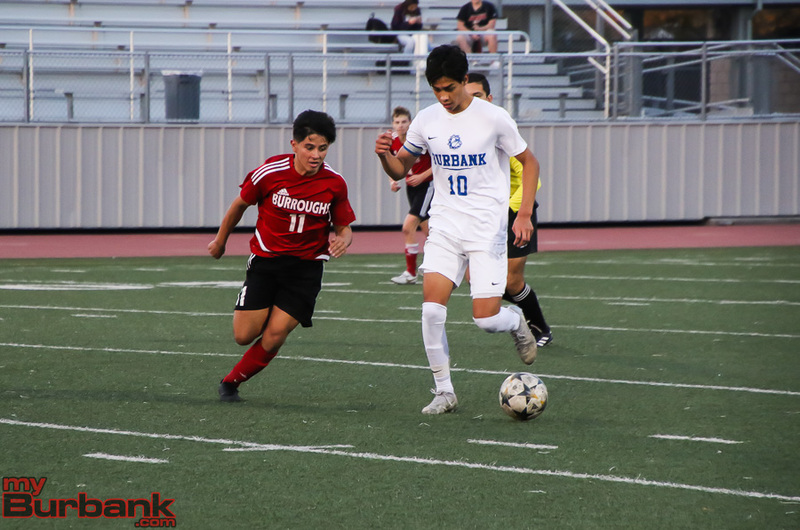 In the midfield, Burbank will look for help from senior Harout Abgaryan, sophomore Allen Arsenian and freshmen Jack Taglang and Nicholas Diaz. 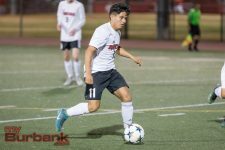 Sophomore right winger Saul Uribe is another player who can offer help in the offense. 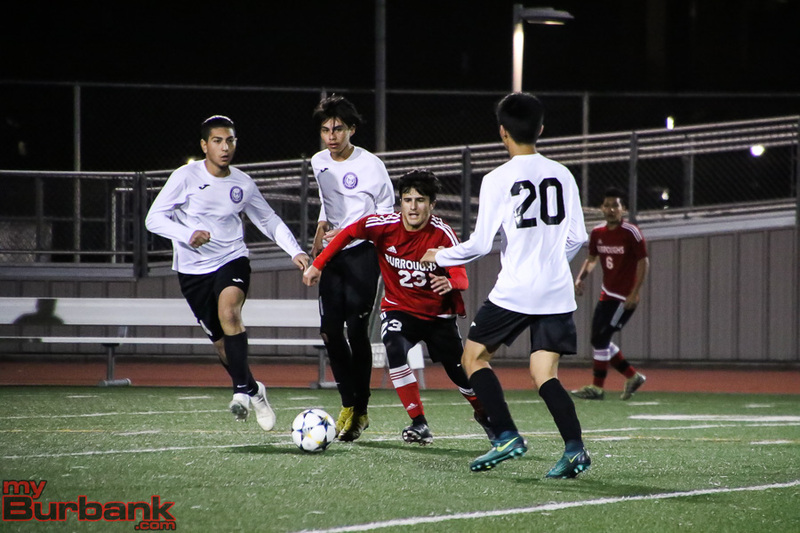 This entry was posted in Boys Soccer, Sports and tagged Andrew Senane, Andy Cardenas, Artyom Ginosyan, Burbank boys soccer, Burroughs boys soccer, Carlos Rosales, Carter Wells, Christian Ramos, David Gerlach, Ethan Jay, Olin Bernal Villalpando, Sebastian Kalemkarian on December 3, 2017 by Jim Riggio. 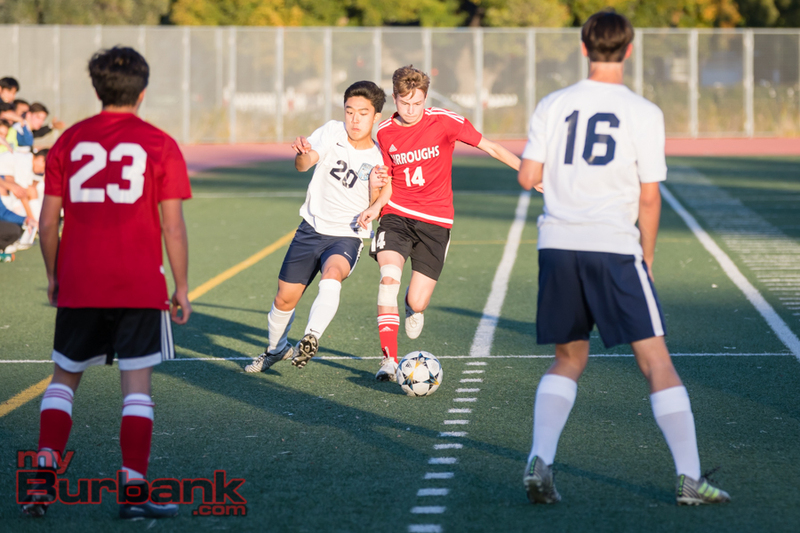 The Burroughs High boys’ soccer team has dominated many of its opponents this season. 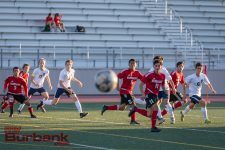 Saturday afternoon in the CIF Southern Section Division 3 quarterfinals, the Indians were on the opposite end, as host Salesian earned a 3-0 win. 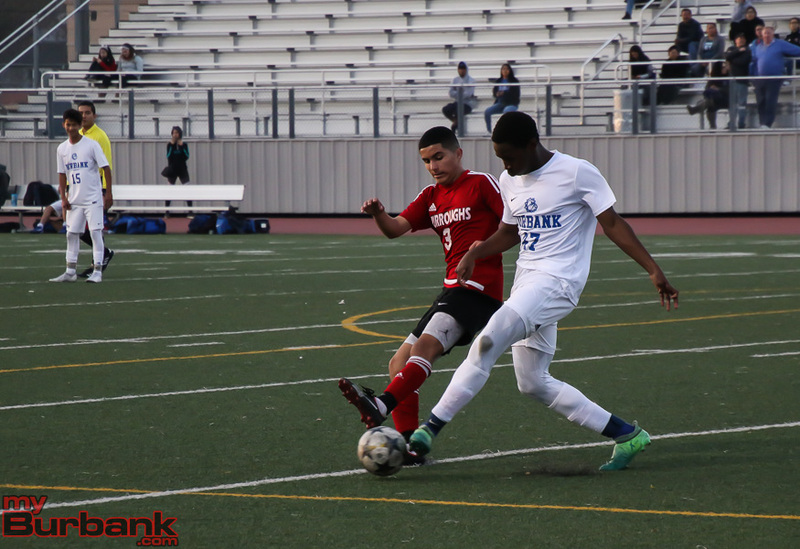 Salesian (17-5-3) dominated play in the midfield from the beginning, but was unable to break Burroughs’ defense for a long time. 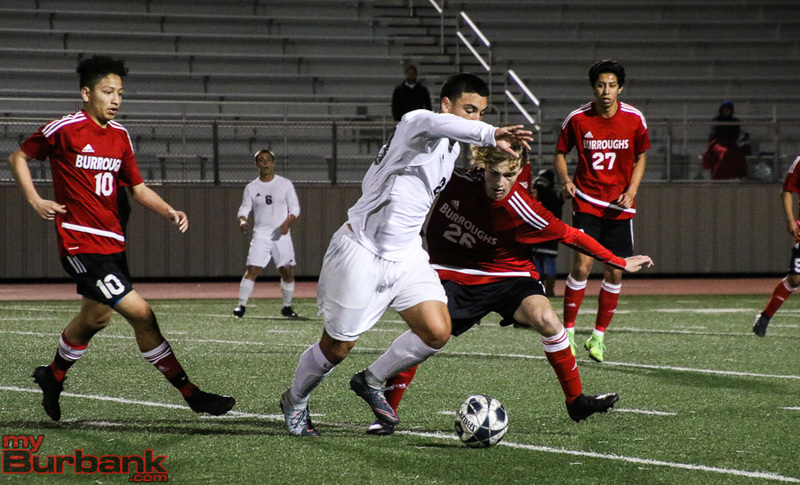 Burroughs (19-5-4) had little success giving trouble to Salesian goalie Mario Ramirez. The Indians’ best chance in the first half came in the 31st minute when Erik Camarillo found Cameron Kelly at the edge of the goal box. But Kelly lost his footing in attempting to set up a shot. 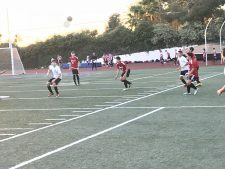 Salesian broke through in the 44th minute when defender Moises Membreno surprisingly went forward along the left side and was able to cross the ball to Anthony Solares, who was able to beat Burroughs goalie Jordan Morgan at the right post. The Indians also tried to sneak defender Richard Alonzo into the attack in the 67th minute, but he was called offside. With Alonzo up, Salesian took advantage by scoring for a second time a minute later. Solares found Alex Barrera in the box and the striker was able to put the ball past Morgan. 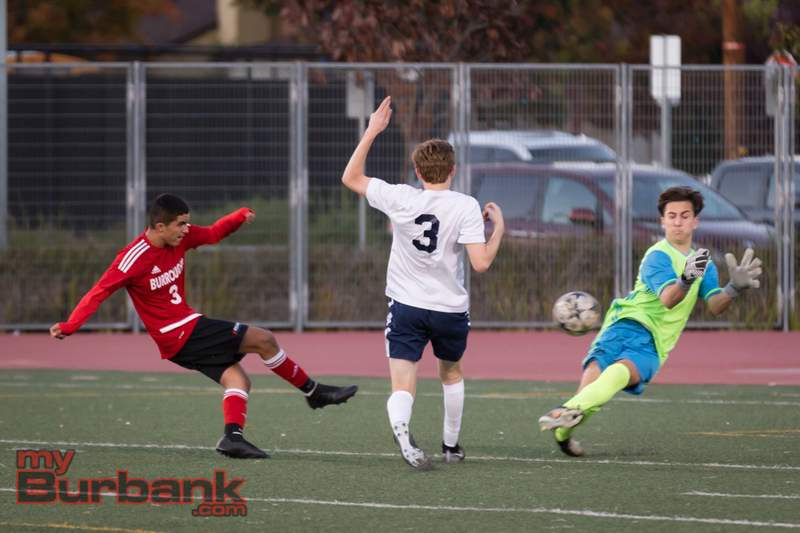 Salesian scored its third and final goal in the 78th minute as Abraham Reyes fired a solid shot outside the goal box that went over Morgan’s head and would have been difficult for any goalkeeper to save. 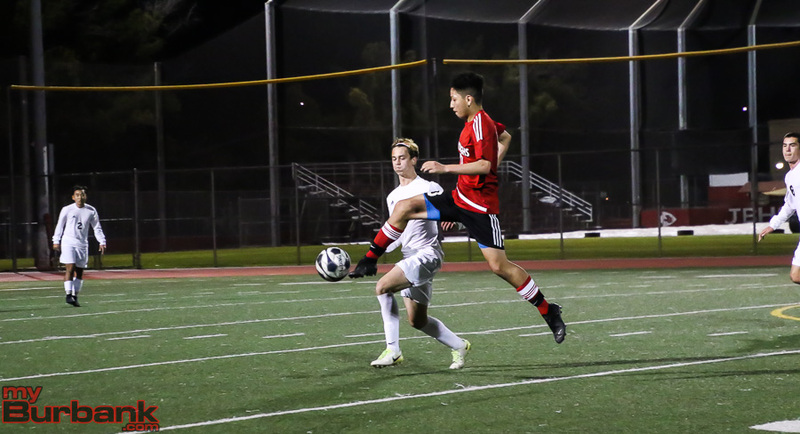 This entry was posted in Boys Soccer, Sports and tagged Burroughs boys soccer, Cameron Kelly, David Gerlach, Salesian boys soccer, William Rosales on February 25, 2017 by Jim Riggio. 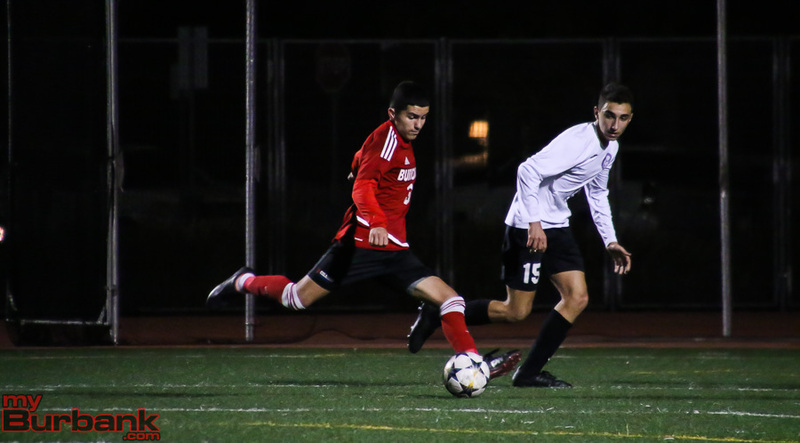 The Burroughs High boys’ soccer team moved up its CIF Southern Section Division 3 playoff opener by a day in order to avoid the pouring rain that is forecasted for Friday. Luckily the Indians avoided the storm, but instead created one of their own for visiting Westminster by rolling in a 7-1 victory at Memorial Field. Burroughs (18-4-4) will now play Feb. 22 against the winner of the Estancia-Paso Robles game that will be played Friday in Costa Mesa. The Indians would host Estancia should it prevail, but would travel to Paso Robles. 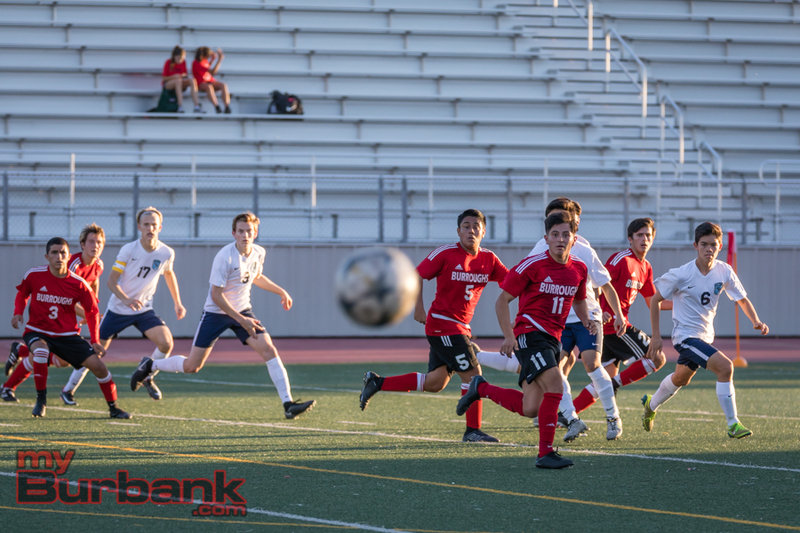 Burroughs opened the scoring in just the third minute as Cameron Kelly got open on the right wing and was able to create space for a wide open William Rosales, who promptly put the ball in the net past goalie Carlos Rocha. 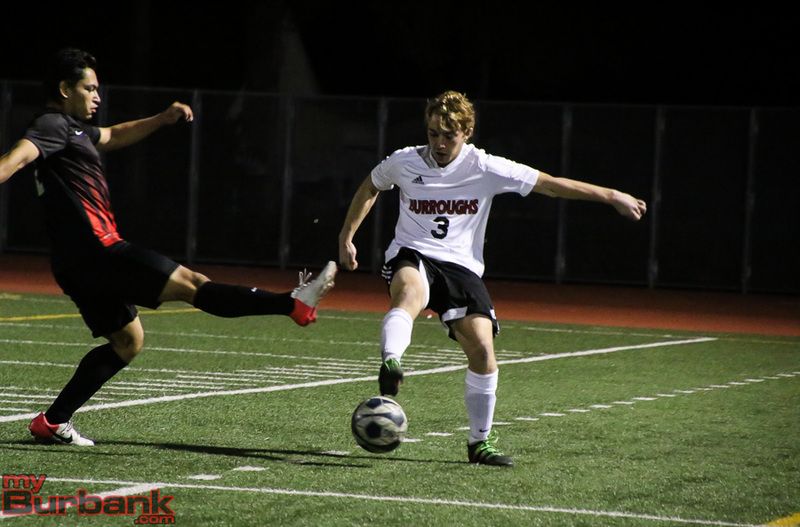 Westminster (9-7-3) gave Burroughs a temporary scare by tying things in the sixth minute on a goal from Anthony Bello. 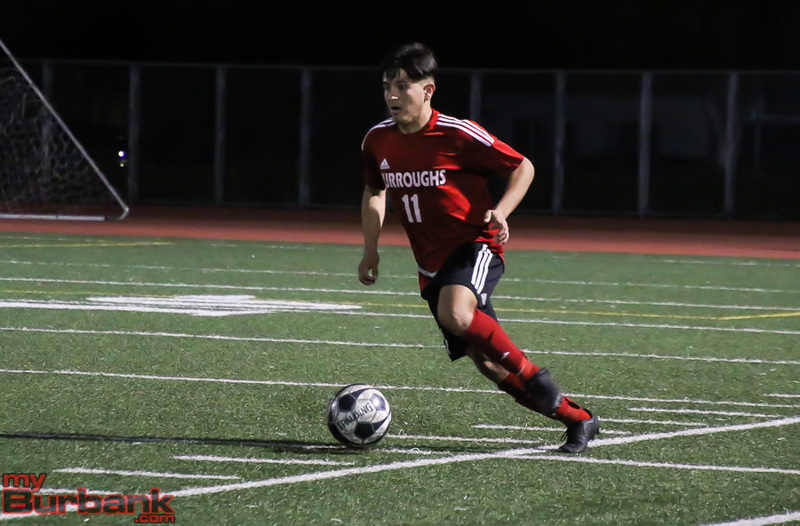 Burroughs regained the lead in the 11th minute when freshman Carlos Rosales was able to beat Westminster’s offside trap before passing the ball to a streaking Richard Alonzo, who practically toe poked the ball into the right corner. The Indians added a third goal right before halftime as a long throw-in by Kelley found Carlos Rosales at the back post. Rosales performed a scissors kick shot into the goal to make it 3-1. Burroughs then poured things on early in the second half and were able to rest most of the starters in the end. Erik Camarillo made it 4-1 in the 46th minute with a rifle shot on a free kick that went into the upper left corner of the goal. Alonzo, a central defender, scored his second goal of the match in the 47th minute on an assist from Kelley who found him alone at the edge of the goal box. Freshman David Gerlach also got into the action, scoring the first two goals of his high school career. Gerlach scored in the 50th minute by putting home a loose ball that deflected off a Westminster defender. But his second goal, which came in the 55th minute, was one to remember. With his back to the goal, Gerlach flicked a header on a long pass from Kelly into the upper right corner of the goal. Kodama was glad he was able to go to his bench and liked what he saw. Alonzo was pleased with the win, but knows there is more work to do. Richard Alonzo looks to pass the ball upfield. 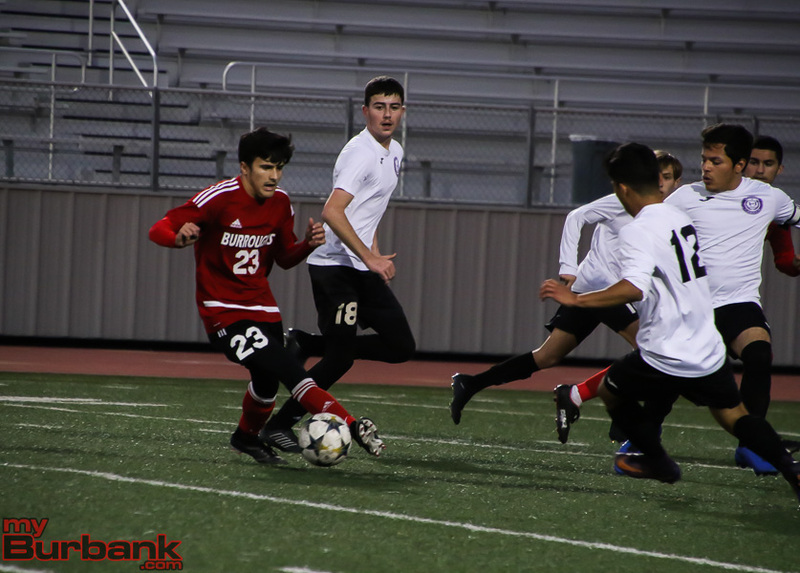 This entry was posted in Boys Soccer, Sports and tagged Burroughs boys soccer, Cameron Kelly, Carlos Rosales, David Gerlach, Erik Camarillo, Richard Alonzo, William Rosales on February 17, 2017 by Jim Riggio.